So you say you want to lose weight but dieting and exercise just aren’t your thing. Don’t feel bad. Most folks are in the same boat. Many are firm believers of not running unless someone is chasing them. Sure, you’ll live longer by exercising, but who wants to live longer if they spend that extra time in the gym? If people could live longer and lose weight by watching TV and eating nachos, well, that would be another story. There’s a better way to shed a few extra pounds and lose weight you probably haven’t considered. What do you do if you need to make room for new clothes in your closet? You go through it and throw out all the old stuff that doesn’t fit or you don’t wear anymore. To get rid of those unwanted pounds you could do the same thing with your body parts and lose weight. There are dozens of extra parts that time and evolution have made obsolete. Here are ten you can start with: 1. Wisdom Teeth An oral surgeon may disagree with this one. But in reality, the only thing they’re good for is putting his kids through college. They stay buried under your gums for years. Finally, when they do pop out, they hurt like heck and you have to get them removed anyway. 2. The Appendix Ancient humans used to need an appendix to digest plant material. Now that man gave up eating vegetables in favor of mono sodium glutamate and methylcyclopropene the organ doesn’t even work anymore. 3. The Little Toe Your little toe is only good for going wee wee wee all the way home. At one time it probably aided in the climbing of trees or peeling bananas. Now it just prohibits you from fitting into a smaller size shoe. 4. The Tail Bone Although it would be really cool to have a tail and use it to pick things off the floor without bending over, most people don’t have them. Thus, making the tailbone useless. 5. Body Hair Mankind needed hair to keep warm before the invention of clothing. Since running around naked is frowned upon in most cultures, hair is also no longer useful. 6. Tonsils Scientists don’t even know what tonsils are for. The closest anyone can tell, the only thing they’re good for is missing school and eating all the ice cream you want when you get them removed. 7. The Gallbladder The gallbladder is a sac that hangs off to one side of the digestive system. It’s like a break room for food traveling through your body. Food just hangs out there and doesn’t really do anything. It’s another organ whose only purpose is to pay for your doctor’s new sports car. 8. Extrinsic Ear Muscles Back in the day, man had to be on the look out for Sabre Tooth tigers and other creatures that wanted to eat him. Now that man has climbed his way to the top of the food chain, he no longer needs to direction his ears to be on the alert for danger. The only modern use of this muscle is betting people you can wiggle your ears and winning free drinks at bars. 9. Male Uterus Yes, men have uteri. Everyone is the same in the womb. It just depends which parts develop that determines whether you turn out male or female. The fact that men still have this non-functioning part also explains why some of them cried at The Sisterhood of the Traveling Pants. 10. Sinuses Like tonsils, no one really knows exactly why sinuses are there other than to torture people with allergies. Now, you might think removing useless organs to lose weight is a pretty ridiculous idea but you’ll most likely consider it next time you’re dieting and munching on some lettuce. These are funny but not the best way to lose weight. Try CoolSculpting instead. 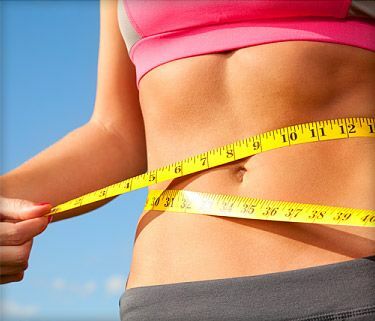 You keep all your body parts and lose inches in just 25 minutes. Call for details.